The solution adds a special functionality: to change between one and the other automatically or to choose which of the both carries out the function of master and slave. 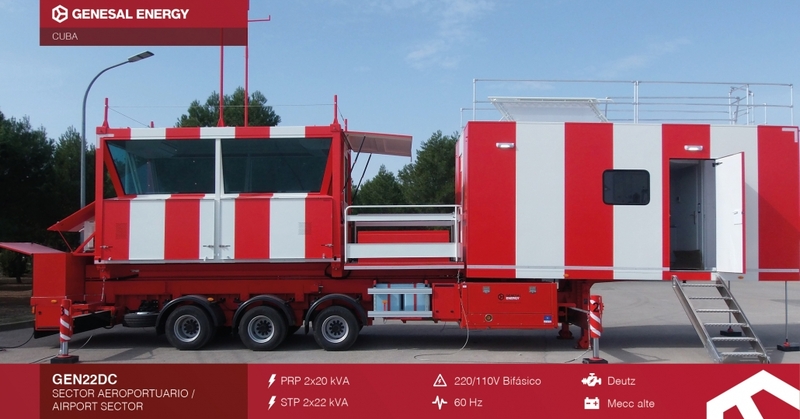 At Genesal Energy, we’ve supplied two 20kVA prime power gensets for a mobile air traffic control tower in Cuba. 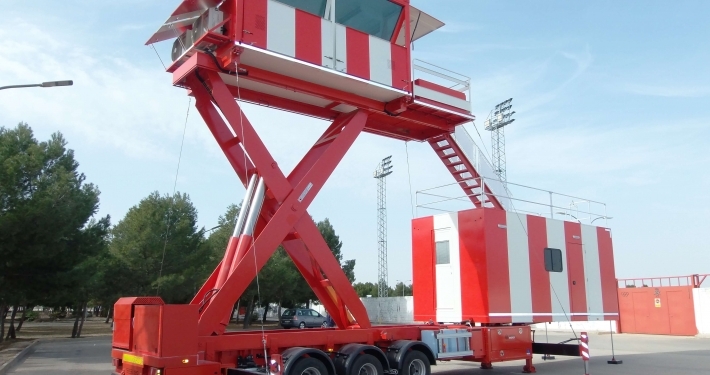 They’re prepared to power the installation in the case of a public mains failure, protecting it at all times, as they have the capacity to power all of the tower’s systems as well as the vehicle’s electrohydraulic mechanisms. 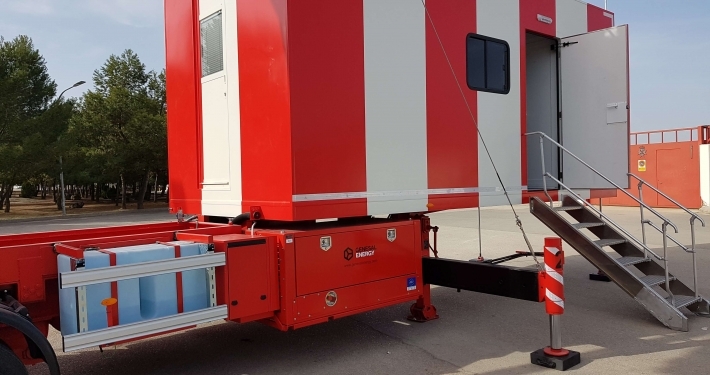 Both units were manufactured after studying the requirements of the client, who needed two compact gensets which would be easily integrated into the truck with the electrical panel and control panel separated and at a distance between one another. Our group of engineers found a special solution and designed two two-phase gensets at a voltage of 220-110 V to adapt to the voltage of the Cuban grid. They’re very versatile units, with four different modes of operation which can be selected through the control panel. They’re located under the platform of a truck and have a remote control system located on the vehicle’s trailer. Why is it a special solution? 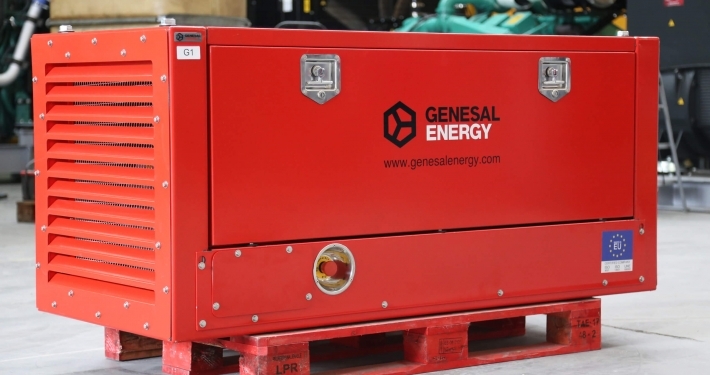 The main feature of these gensets is, above all, their redundant design, that is, the power supplied is done so by one of the gensets whenever there is a mains failure, meaning a second backup genset is left if the genset selected as the master were to fail or if the second genset itself were to be stopped due to maintenance. Each genset has a remote control system through which the double switchover between both is managed as well as the switchover between each genset and the grid. Said system is installed inside the truck, communicating with both. The solution adds a special functionality whose objective is to manage the redundancy of the gensets so that it’s possible to switch between one and the other automatically or choose which of the both carries out the function of master and slave manually through a selector in the control panel. 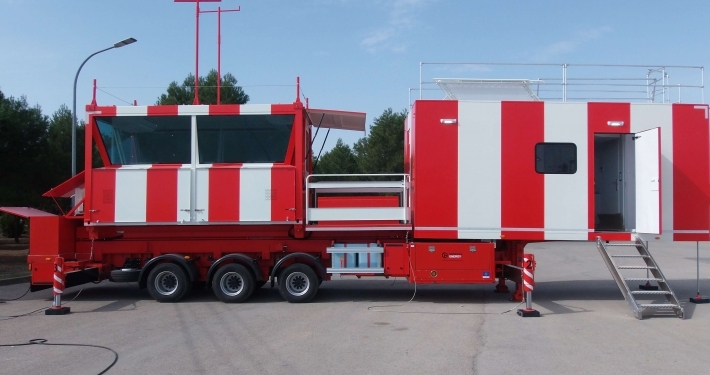 The gensets, on the other hand, are designed mechanically in an ultracompact format so that they occupy the least possible space, as they are installed under the platform of the truck’s semi-trailer where the control tower is located. Furthermore, the canopy that ensures the soundproofing of the gensets is completely removable in order to improve the accessibility of the genset for maintenance works due to the limited space available. 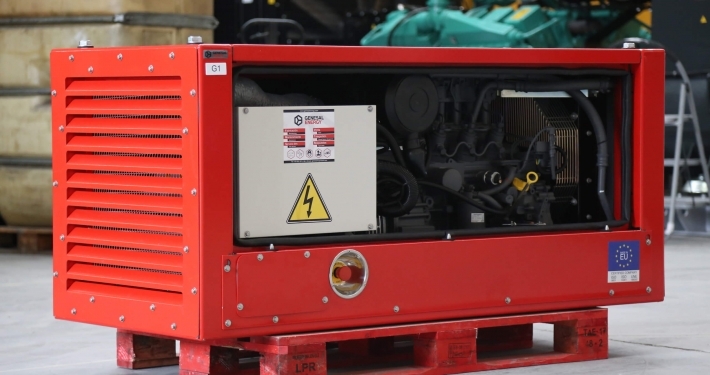 On the other hand, the engines used in these gensets are Deutz engines, cooled by oil, as they have to endure working temperatures of up to 30% higher than a standard engine cooled by antifreeze, thus maximizing the reliability of the system, especially considering the fact the gensets will be operating in especially harsh conditions. Reliability is a must in this type of units.